Van Mahotsava is an annual pan-Indian tree planting festival celebrated in India during the monsoons. This year, two wings of DAV – Arya Pradeshik Pratinidhi Upsabha, Delhi and Rashtriya Arya Yuva Samaj, Delhi decided to celebrate this important event with all the DAV Schools of Delhi. · Rally: A rally was organized. Students of classes VIII, IX and X went from the school till the Western Yamuna Canal located on the outskirts of Khera Khurd. Principal Mrs. Monika Mehan flagged off the rally. The students carried placards highlighting the importance of trees and harmful effects of deforestation. · TREE Plantation: The students planted saplings of Neem, Kachnar, Amla, Harsingar and jamun along the banks of Western Yamuna Canal located on the outskirts of Khera Khurd. They also prepared fences made of bamboo to protect the saplings. · Workshop on ‘Best out of Waste’ for growing plants: It was followed by a workshop on reusing plastic bottles for planting saplings. 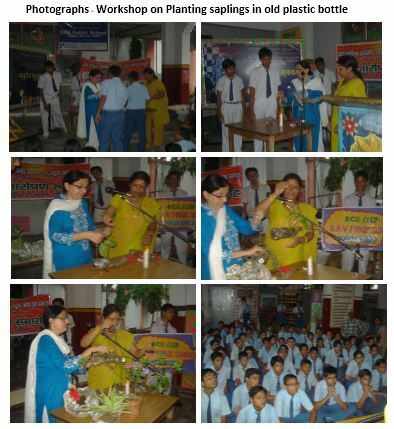 This workshop was conducted for students of classes V, VI and VII. The students prepared old plastic bottles for growing plants. They tied strings on them so that these bottles could be used for decorative purpose too. 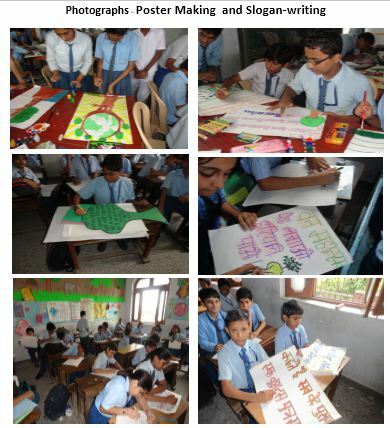 · Poster making competition and slogan writing competition: Poster making competition and slogan writing competition were conducted for students of primary and middle classes. 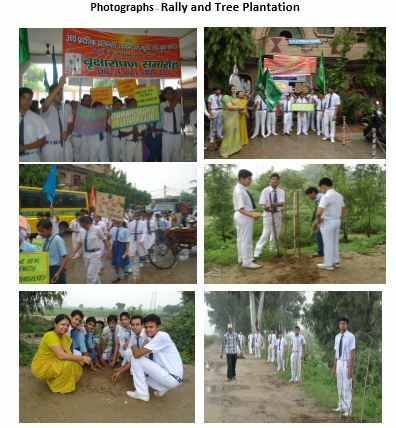 The students also promised to plant saplings near their houses and take care of them individually.